Blurb Description: Emily felt wide awake - but this had to be a dream. A soft light glowed from the middle of Holly's empty bed. It came from a little tent - striped red and white, not more than knee-height, and with shadows moving about inside it. Never in all her life would Emily forget the strangeness of what she saw next . . . When Emily's sister Holly dies, she is surprised to find that she misses her toy bear, Bluey, almost as much as Holly. Bluey was Holly's constant companion, and Emily used to make up stories about him and his escapades in the magical (and very silly) world of Smockeroon to entertain her. And the only person who seems to understand Emily's grief is Ruth, her kindly next-door neighbour. But then very strange things start to happen. Emily dreams of talking toys visiting her bedroom, telling her that they have come from Smockeroon, and have a message for her from Bluey. A terrible black toad, who stinks of sadness, begins to stalk Ruth's house. And when a parade of penguins wearing plastic moustaches marches through their kitchen - well, Emily has to begin to wonder whether this is all a dream after all. But why are the toys here, and what could Bluey possibly be trying to tell her? This stunning novel will tickle your funny bones as much as it pulls on your heartstrings, and is a true classic in the making. When I first read this title, I believed that this book was some kind of Peter Pan Retelling. 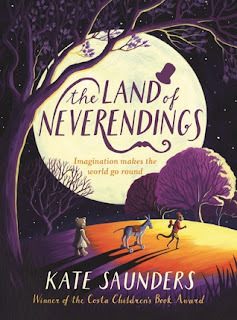 A land based on the imagination of children with the called "Neverendings" - can you blame me. This is basically me saying that without actually reading the synopsis, I went in thinking that I'd be getting a Retelling of one of my favourite fairy tales, but I got something much different and much better! 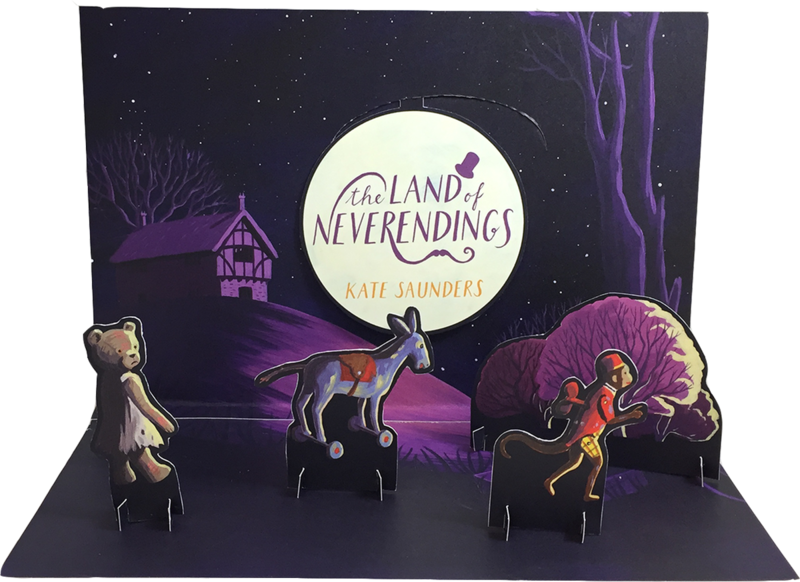 The Land of Neverendings is a hilarious and gorgeously imagined children's book where toys live their own lives and are reunited with their owners when they leave our world. 1. Since I've almost crossed the realm of teenage-Dom, this book was a very quick and fun read for me. I loved getting into Emily's mind, feeling the grief and loss of losing her sister, losing her one old friend and making new ones and also watching her reactions as the toys and their imagined stories came to life in front of her very eyes. 2. The toys in this book were HILARIOUS. There were refined penguins who opened up a bed and breakfast, nun barbie dolls, various societies that had been formed among the toys and even a prison doll who only knows how to get in trouble. 3. Amidst all the hilarity, I especially loved that there was loss of a loved one too young being dealt with in an affirming and yet real manner. 4. Which of course, bring me to Ruth, our main character, Emily's elderly next door neighbour who lost her son in a drunk driving accident. I loved the support that they were able to give each other, the no questions asked belief and most of all, the chocolate biscuits. 5. Another character I TRULY loved was Martha, Emily's new friend. I loved her honest goodness that wafted off the page, her unwavering loyalty and her kindness. She makes me think ofall the brilliant friends I made in middle school. Despite the fact that this is a children's book I still loved every second of reading it. The Land of Neverendings is a hilarious, show stopping marvel from a true creative genius. 4.5 stars. Kate Saunders (born 1960) is an English author, actress, and journalist. The daughter of the early public relations advocate Basil Saunders and his journalist wife Betty (née Smith), Saunders has worked for newspapers and magazines in the UK, including The Sunday Times, Sunday Express, Daily Telegraph, She, and Cosmopolitan. She has also been a regular contributor to radio and television, with appearances on the Radio 4 programs Woman's Hour, Start the Week, and Kaleidoscope. She was, with Sandi Toksvig, a guest on the first episode of the long-running news quiz program Have I Got News For You. Saunders has also written multiple books for children and for adults. What were some of your favourite stories as a child? What were some of your favourite fairy tales? Which one of your childhood toys would you like to meet in real life?